You might think that since we are totally packed, I can’t make anymore food….but you would be wrong. I in my infinite wisdom decided that bringing my Vitamix Blender with me onto the plane was a good idea, so now the mixer is still sitting on the counter at our house. This was very fortunate because, what happens when you find a ton of nuts at your house? (No I’m not talking having your relatives over for dinner ;)) You have to make nut milk and candied nuts! So that’s exactly what I did! 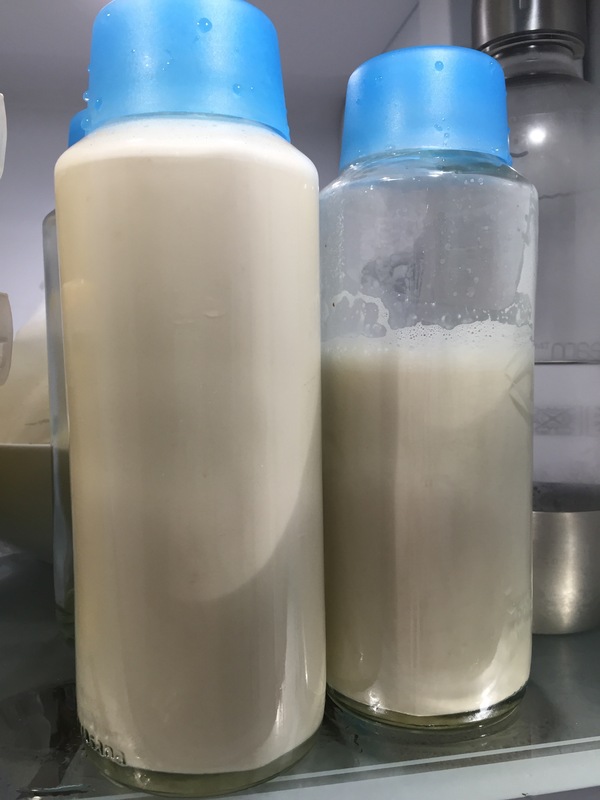 Today I made Sweetened Almond Milk – it is a real treat and sooo good (this coming from someone who doesn’t even like store bought almond milk) I think it’s even better on the second day! Keep in mind that you will most likely want to start this before you go to bed as you must soak your nuts before you make your almond milk. The next morning you can enjoy a yummy glass of milk. 2. Drain the almonds and rinse out with fresh water in a strainer. Add almonds to your blender (I use my Vitamix as it gives the best results, but you can use a different blender or a food processor). Add in 7 cups of filtered or bottled water, vanilla, agave nectar and salt. Blend for 1-2 minutes. Give it a taste and see if you like the level of sweetness, if not you can add some more agave. 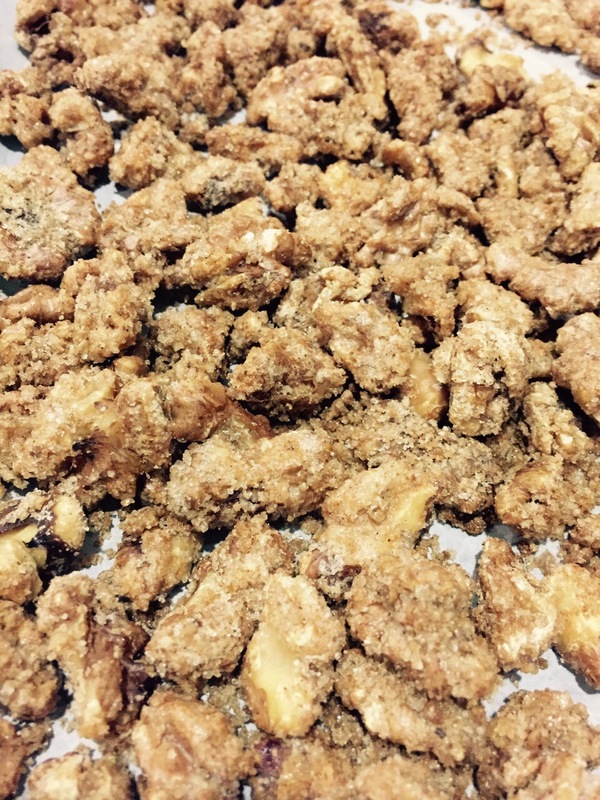 I also made some yummy candied Walnuts!